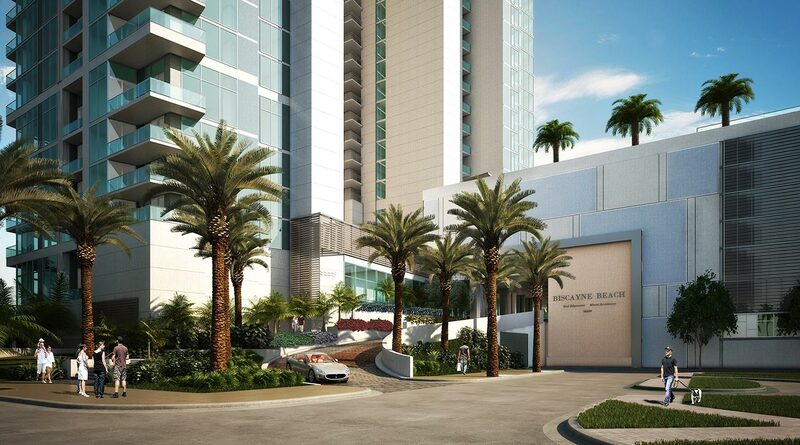 Biscayne Beach in Miami (also known as Biscayne Beach Residences) is a project by Eastview Development and GTIS Partners found within the Edgewater neighborhood. 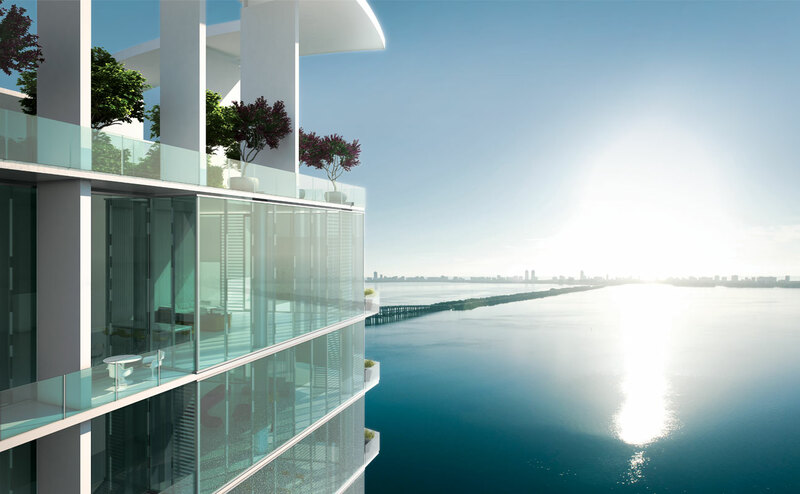 The 51 story building features 399 Miami condos for sale with a location that's right by the waterfront and provides completely unobstructed eastern vistas of Biscayne Bay, the Miami Beach islands and the popular barrier island itself. The fusion of glass, stone, and stainless steel is courtesy of architect WHLC. 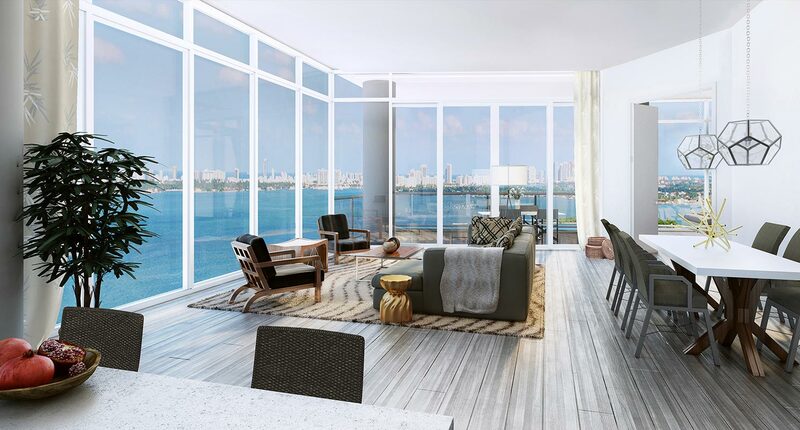 One of the first things you'll notice as you explore within the Biscayne Beach condo is the interiors by renowned Thom Filica Design. 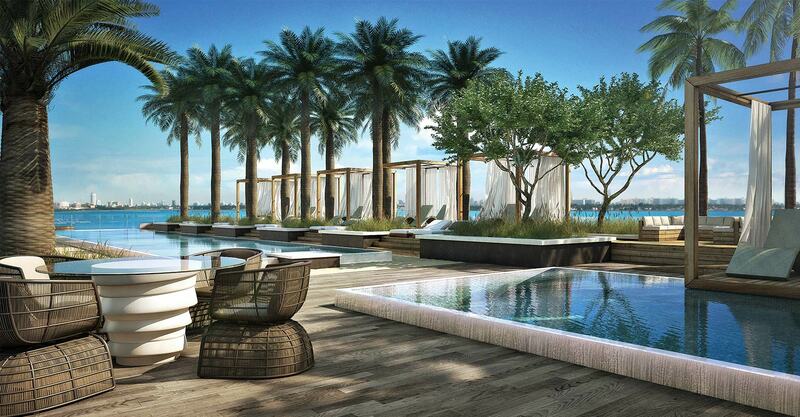 Residents will enjoy perks like a members only beach club that includes cabanas and an L-shaped swimming pool, a fitness center with a variety of equipment that overlooks the waterfront, a business center, a spa, tennis, basketball and much more. 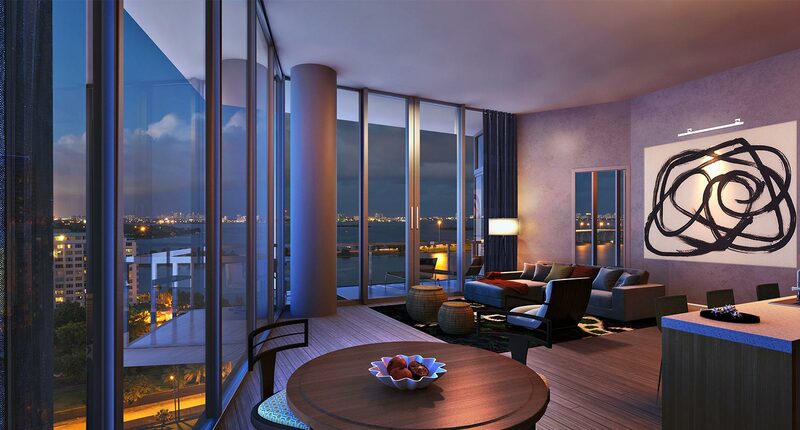 Most of the units within the Biscayne Beach condominium have ceilings nearly ten feet (twelve to fourteen if you opt for a penthouse) and you'll also come across features like glass-railed balconies, floor to ceiling glass windows, premium ceramic features in the bathrooms and sky terraces in the upper penthouse. 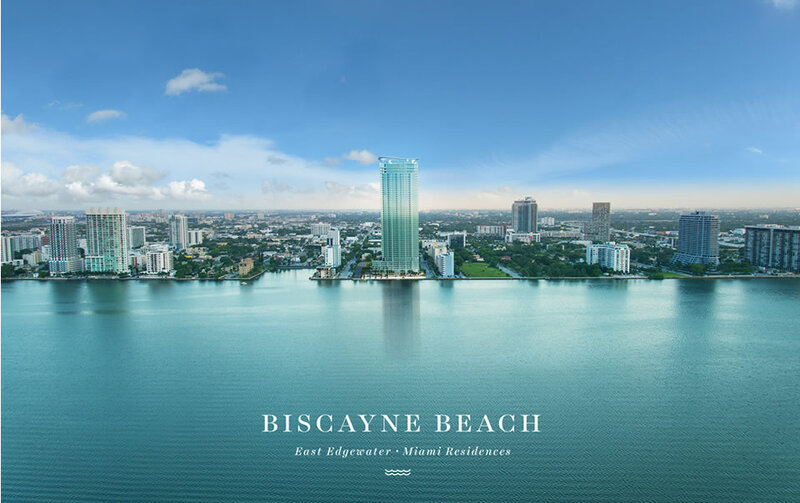 As a resident of Biscayne Beach you'll be just a couple of blocks away from The Shops at Midtown Miami to the northwest as well as Biscayne Park and Margaret Pace Park to the south. If you explore further south you'll find the downtown area which is home to classic attractions like Miami's Bayside Marketplace, Bongos Cuban Cafe and the American Airlines Arena. The Julia Tuttle Causeway is north of Biscayne Beach and will allow you to visit aforementioned Miami Beach to the east. Gorgeous lobby and spectacular Beach Club level designed by world-renowned interior designer Thom Filicia, Inc.